This Mix Master from NYC will get your heart racing with his mind blowing style of EDM, Hip Hop, Anthem Rock, Pop Music & Mash Ups! J.Dayz, based out of New York, brings his vigorous style and enthusiastic stage presence to get the party going. 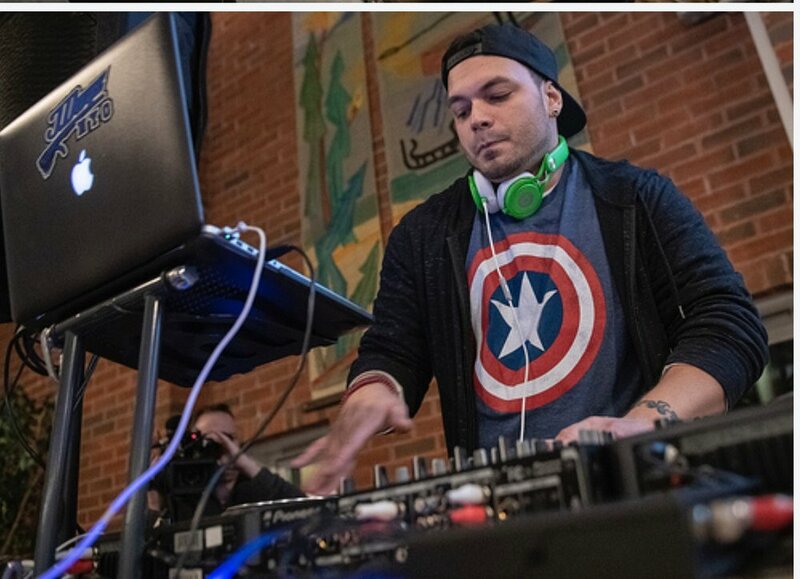 Since entering the DJ scene, he has demonstrated his ability to mix across various genres creating his own unique style, which incorporates elements of EDM, Hip Hop, Rock, And Pop Music. He has gained much popularity spinning in top clubs, including Green House, Tenjune, Dream, Duvet, Butter, One, Snitch, and Bowery Ball Room. His diverse skill set has enabled him to share the stage with the likes of One Republic, Cobra Starship, The Fray, The Yeah Yeah Yeahs and Outasight, as well as create the mood at product launches for Vans, Puma, Nike, Diesel, Juicy Couture and H&M among other leading brands. His presence at major celebrity and sporting events has increased due to his ability to match the music to the audience. He has been part of the musical line up at the Vans Warped Tour, Rolling Stone Magazine 40th Anniversary Party, ESPN Winter X-Games, SXSW, Identity Festival, All Points West, TruthLIVE, and many other festivals. J.Dayz made history as the first DJ to be apart of the USO Holiday Tour, supporting our troops overseas. For over a decade, he served as a voice in Independent Music as Host of The Party Hour on BreakThru Radio were he introduced the newest and hottest music from the Indie scene. He also taught for many years as the lead Instructor at the worlds first DJ School; Scratch DJ Academy, shaping the skills of aspiring DJS. J.Dayz has been featured in numerous industry publications including, Remix Magazine, Goods Magazine and Tablist Magazine in addition to live appearances on Fuse TV’s Warped Roadies, BBC News, and Fox 5, Good Day Live. In addition, he has released several well–received hip hop mix tapes as well as worked with some of the brightest stars in the studio. Please check out my music & videos. J.Dayz Live on Tour !